Search today's newest Evanston North Shore homes for sale and real estate listings in Chicago. Evanston is a suburb of Chicago, Illinois that offers a variety of amenities to fit any lifestyle. Home to Northwestern University, Evanston is a community located just north of Chicago that is set upon Lake Michigan, a spectacular backdrop befitting of such a charming town. The Evanston real estate market can be found in zip codes: 60201, 60202, 60203, 60204, 60208, and 60209. To request more information about Evanston properties for sale or to schedule a private home showing, contact your North Shore real estate experts today. Read more about Evanston real estate. Looking to buy or sell a home in Evanston? Call Guarnero Group Compass, your local real estate team, at 312-810-6693. We are North Shore real estate agents and experts on the Evanston real estate market. A lack of cookie-cutter developments helps to emphasize the sheer variety of architectural styles present in this real estate market. Whether tastes lean towards the more traditional or the modern, there is a home for everyone. In fact, with such a diversity of styles as the real estate palette, a buyer narrowing their decision might be the greatest challenge to face when home-hunting in Evanston. While there are plenty of grand estates and old mansions found along spacious avenues, more affordable options exist in the form of split-levels, brick ranches and mid-century residences. Condominium and townhouse properties are also available. On the other end of the spectrum, expansive homes, some with as many as eight bedrooms, come in every form. Vintage homes with pillared entryways and one-off original embellishments sit next door to renovated residences featuring skylights and open floor plans. Whatever lifestyle, Evanston real estate is sure to be accommodating. And, no matter what choice is made, homebuyers will likely benefit from a garage and landscaped yard, as well as Evanston's unmistakably charming ambience. Exploding with culture, Evanston is home to five museums, many art galleries, a symphony orchestra and several theater groups. Equally, much of Evanston's older architecture is of historical significance, the Charles Gates Dawes House and the Gross Point Lighthouse being two such examples. And, with Northwestern University as its pulse, tons of fun restaurants, bars, and other entertainment venues line Evanston streets. 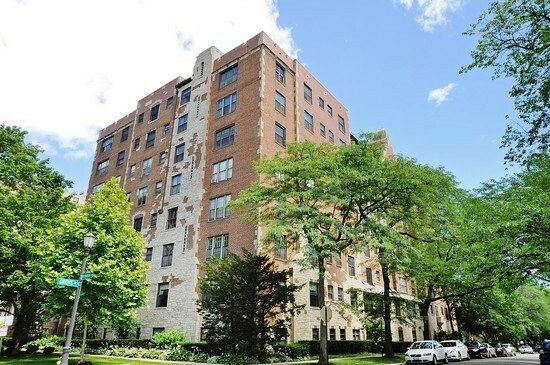 Other of the suburb's benefits include access to a first-rate golf course in the heart of town, the Evanston Dog Beach, the Lakeshore Arts Festival, the Evanston Ethnic Arts Festival and Merrick Rose Garden, a tranquil enclave overflowing with delicate beauty. Evanston's many parks and lakeshore paths, ancient trees and lush greenery, impressive homes and thriving commercial district make it an entirely self-contained community. Less a suburb and more of a city in its own right, Evanston offers the benefits of city-like living while devoid of its many hassles. Despite never having to leave Evanston, residents are conveniently served by a range of public transportation options (including the CTA's Purple Line) allowing for easy entry to Chicago's downtown (11 miles south). For a somewhat smaller community, Evanston has a bustling downtown, filled with shopping, dining, and plenty of entertainment. The prestigious Northwestern University is also located in Evanston, which is also situated not far from the heart of downtown. Almost all of Evanston, and even a small portion of the village of Skokie, is part of the Evanston Township High School District 202, which consists of just one high school, the Evanston Township High School. Buying or selling a home in Evanston? Let our team of North Shore real estate professionals help you through the purchase of your new Evanston property or through the sale of your current Evanston home. As local Evanston real estate agents, we have expert insider knowledge of the market dynamics unique to the North Shore real estate market. We're here ready to work with you today! Contact Guarnero Group Compass to get more information about buyer or seller representation in Evanston. Planning to get involved in the North Shore real estate market? Review our CMA (comparative market analysis) form to quickly see your Evanston property evaluation within minutes.